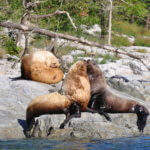 On this full day adventure, we explore the waters of the Salish Sea, Discovery Passage, and Johnstone Strait. This tour gives us the luxury of time and is designed for those individuals who want to see as much as they can in one single day. 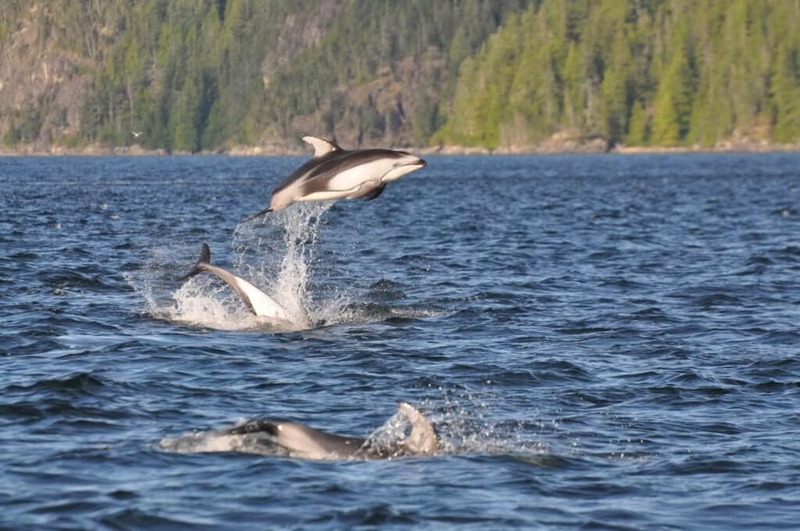 With a focus on finding Orca, the extended day means that we can spend quality time with all of the wildlife, like Humpback Whales, Pacific White-Sided Dolphins, Bears, Sea Lions, and much more that our spectacular area has to offer. An onshore lunch of fresh made wraps, snacks of homemade baked goods and granola bars, and beverages such as coffee, hot chocolate, tea, and water. 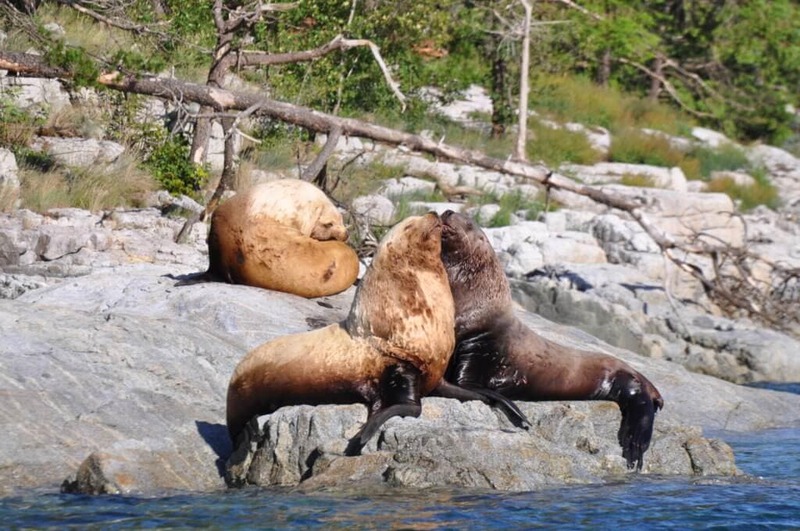 The calm and beautiful scenery while travelling through the narrow passages between the Discovery Islands and into Johnstone Strait, rather than into the open Pacific Ocean. 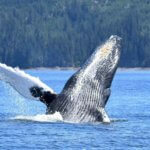 The vocalizations of Orca or Humpback Whales through the onboard Hydrophones (underwater microphones) if those opportunities arise (Orca and Humpback Whales do not communicate all day). 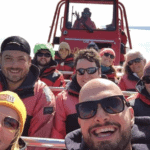 What is different about this tour compared to the 6 hour Whale Watching Tour ? 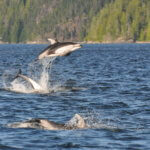 The Full Day Whale Watching Tour gives us the luxury of time! 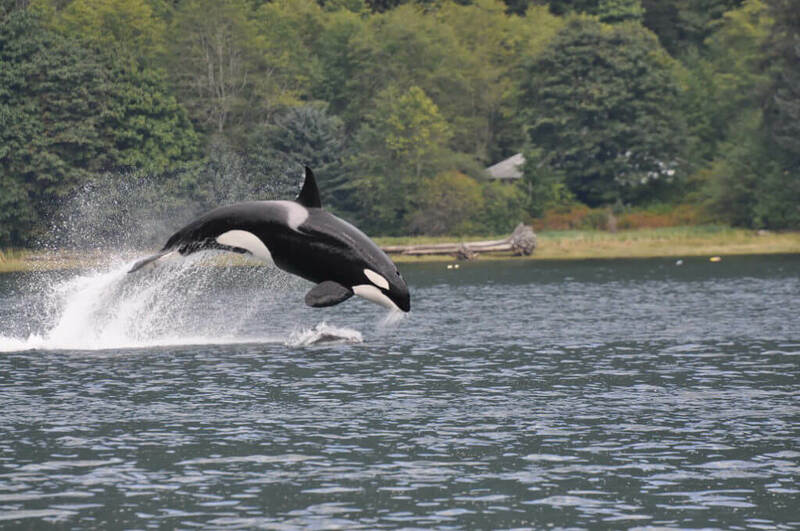 The main focus of this tour is the sighting of Orca which means that on some days we may travel longer distances to see them. On this tour we have the time to do so. 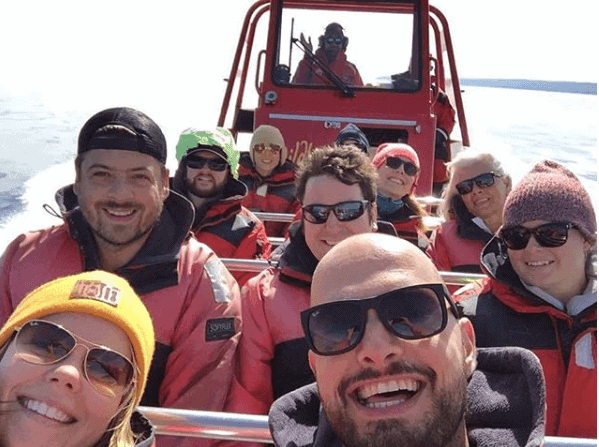 On the journey we make every effort to spend quality time with other wildlife such as Humpback Whales, Dolphins, and Bears along the shore. On this tour we can spend more time with the animals that we encounter along the way. 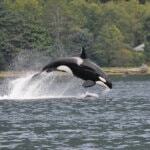 Campbell River Whale Watching wants you to see whales. We will go the extra distance for you to see them and won’t cut the trip short. 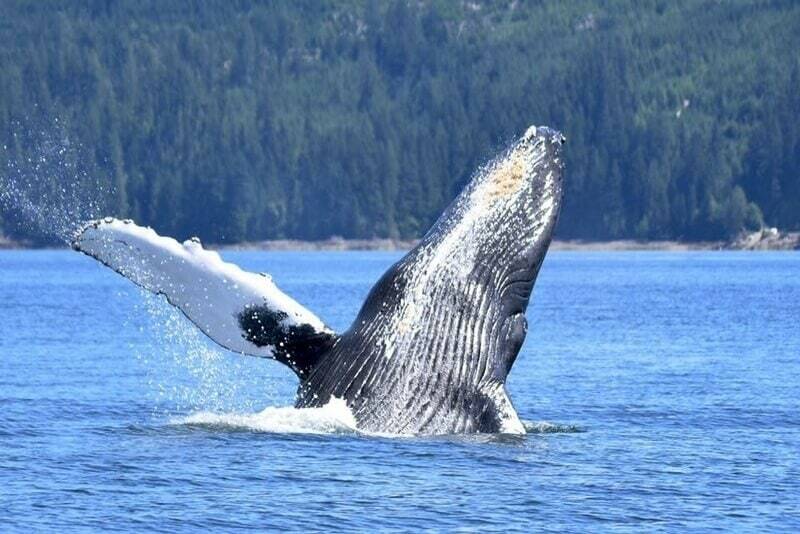 If we do not see a whale on your 8 Hour Day Trip Whale Watch tour with us between July 1st - September 15th then we will take you out again at no charge, on a stand-by basis, until we do see one. Even if it’s next year!